I know that I have been MIA since the fourth of July but things around here have been crazy busy…I’ve been trying to enjoy the last few weeks of Summer Vacation with my boys. But I couldn’t pass up sharing this cool site with y’all…. Although I’m a SAHM (stay-at-home mom), I refuse to spend every waking moment cooking and cleaning; I decided that this Summer was a perfect time to really buckle down on my oldest and give him more responsibilities around the house. Well basically more chores…lol. So when I saw My Job Chart I thought that it would be a great tool in helping us both keep track of his chores and allowance. Sign up is easy and best of all it’s FREE. Come back and let me know what you think! 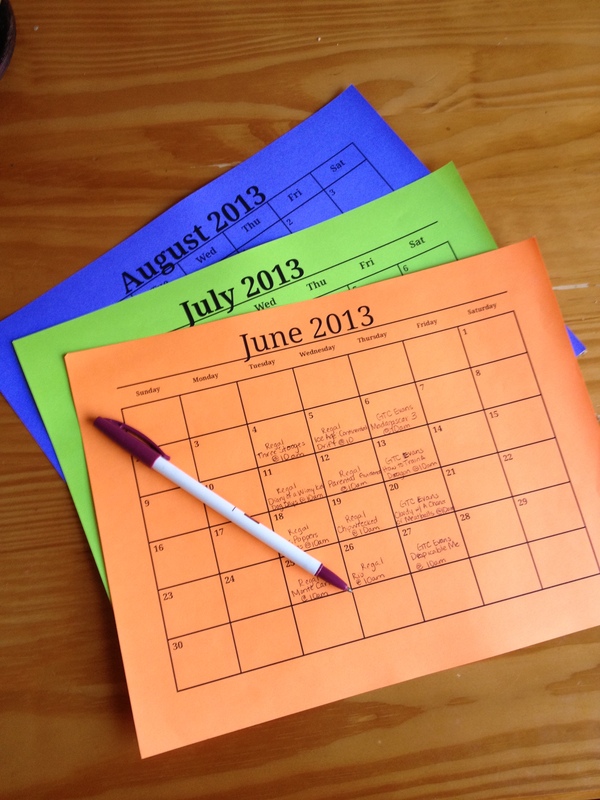 This entry was posted in Freebies, Random Savviness on July 19, 2013 by Roni the Savvy Housewife. I mentioned in a post a few weeks ago that I had just recently signed up for the nail subscription box, Julep Maven and since I rocking “naked nails” right now I decided to do a review of Julep Maven instead of my normal Just Another MANICure Monday post. If you follow me on Instagram or FB (and I hope you do) then you know how much of a couponer/bargain shopper I am…so I usually only purchase nail polish when it goes on sale or clearance. Rarely do I ever pay full price and the thought of paying over $5 is just ridiculous to me…feel free to judge that last statement. 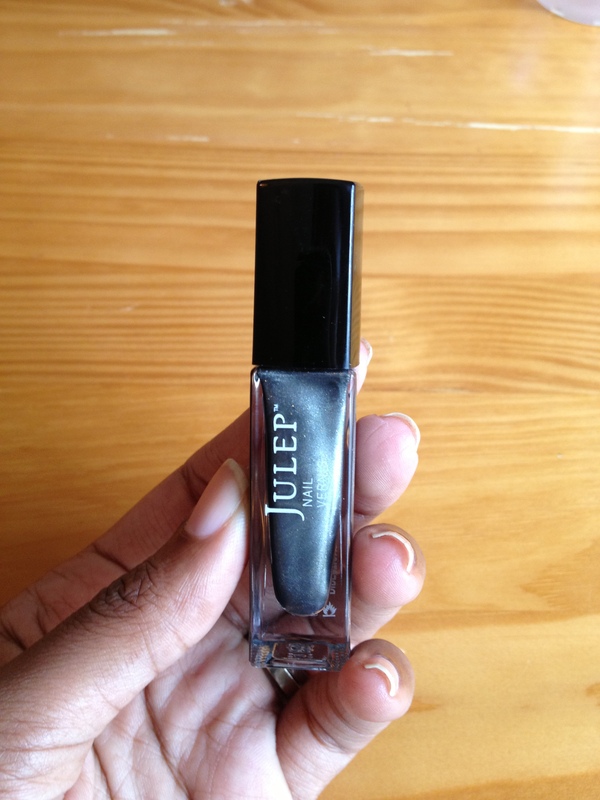 But after months and months of seeing/reading bloggers rave about Julep Maven, I finally broke down and signed up. The straw that broke the camels back was when I received an email from Julep Maven saying that the first box was on them and all I had to pay was $3.99 for shipping. Although that’s not totally FREE I thought it was a pretty awesome deal especially for a service that gets so many great reviews. For those of you that may not be familiar with Julep Maven, it’s a monthly subscription service that “delivers exclusive access to at least $40 worth of products handpicked to suit your style” for only $19.99/month. Signing up is easy…basically you just answer the Julep Maven style quiz questions and your introductory box is shipped within 3 business days. According the Julep Maven style quiz, I’m an “It Girl!” I placed my order on Monday and sure enough it arrived on Thursday…a total plus for me! In my excitement I opened the box immediately and swatched each polish right then. 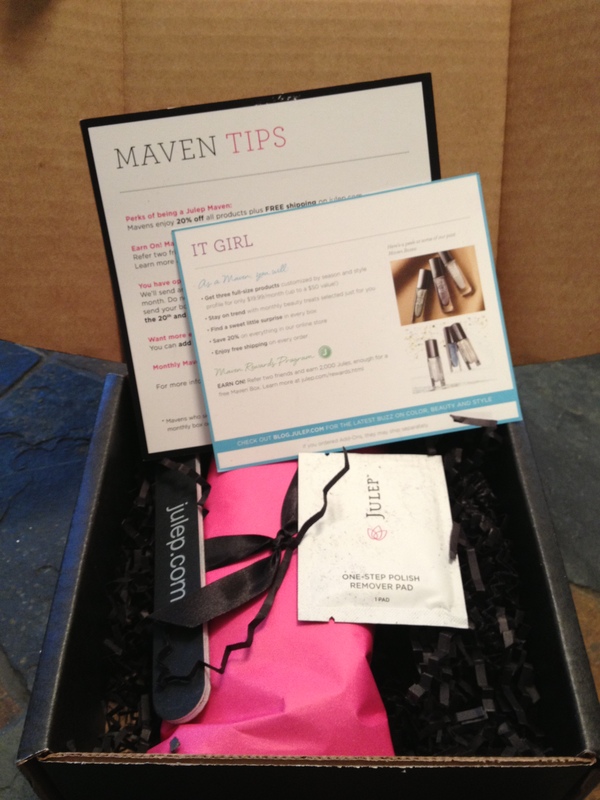 Check out what I received in the May “It Girl” box…. 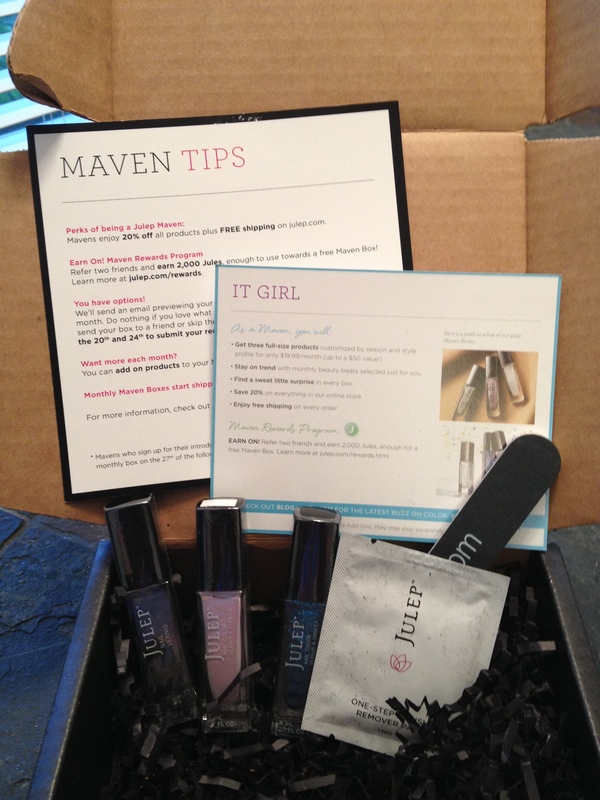 The “It Girl” May introductory box included three full-sized nail polishes, a nail polish remover pad and an emery board. The picture above doesn’t do this particular shade any justice…Simone is actually a beautiful pastel lilac with a little iridescence (which I just noticed). 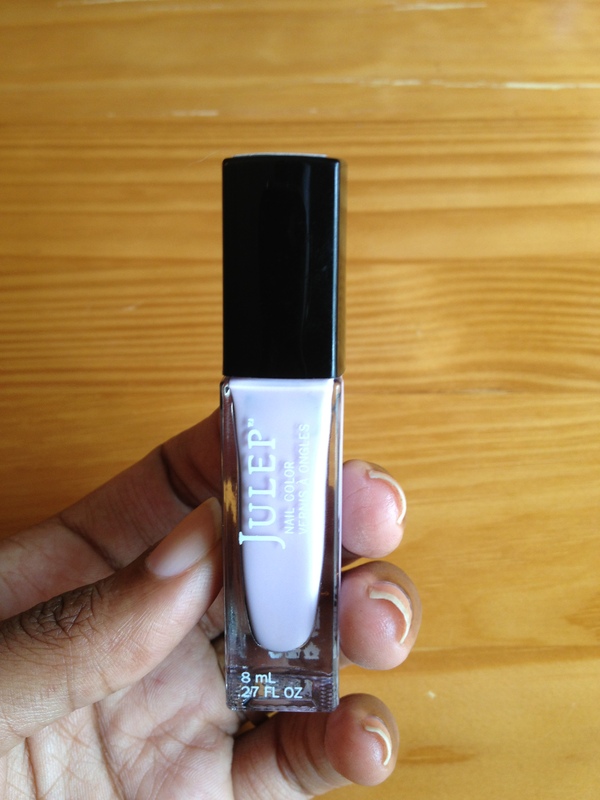 I did a post rocking this shade which will give you a better idea of how pretty it really is. Carly speaks for herself in this picture. As you can see it’s a bright, bold blue glitter. I probably won’t rock this shade alone but I think it will definitely make for an awesome accent over another shade. Stefani is an interesting shade…it’s a metallic grey polish with flecks of gold glitter. This one is not necessarily my favorite but I’m sure I’ll find something fun to do with it. So what’s the final verdict of my first Julep Maven box? I love it! 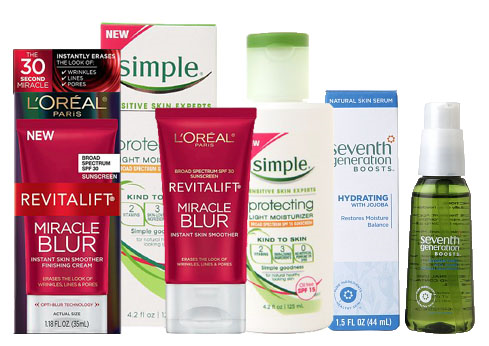 I paid just $3.99 for over $40 worth of nail products. You definitely can’t beat that! What I like even more is that I can skip boxes if I’m not in love with my monthly picks and I can cancel at anytime. To score you first Julep Maven box FREE enter code FREEBOX at checkout. Although I didn’t get a chance to share an actual mani today, you should definitely head over to Lipgloss and Binky and see what the other ladies are rocing on their nails. 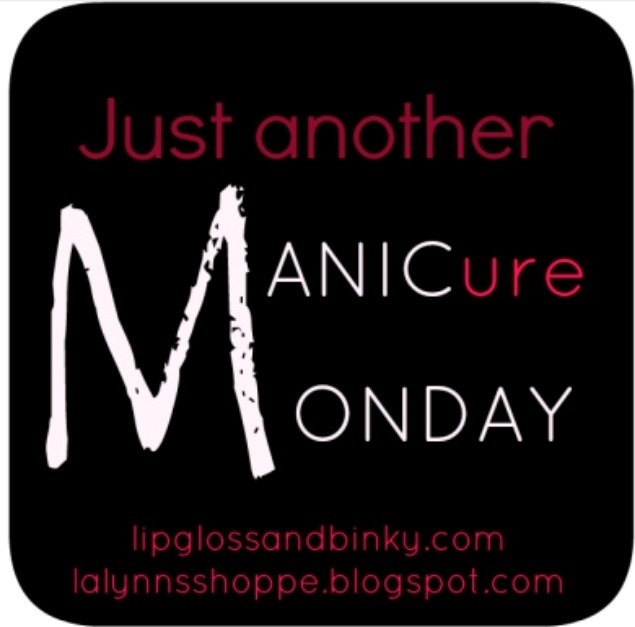 MANICure Monday is a weekly nail polish/mani link-up that is rotated between Mimi of Lipgloss and Binky and Effie Lynn of LA Lynn’s. Check it out! Which polish is your favorite? 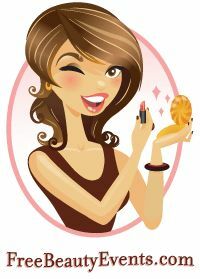 Are you a Maven? Did you get a May Julep box? What is your Julep Maven style profile? 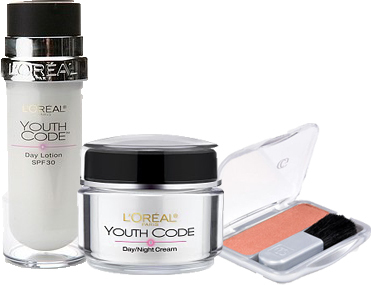 Do you subscribe to any monthly beauty subscription services? 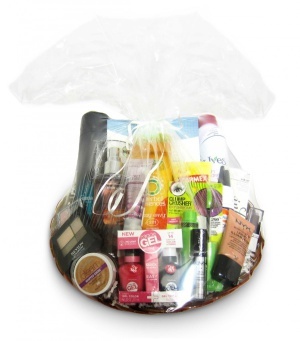 This entry was posted in Freebies, Just Another MANICure Monday, Product Review and tagged bargain shopper, Beauty, Julep Maven, Monthly Subscriptions, Nail Art, nail polish, nail polishes on May 20, 2013 by Roni the Savvy Housewife.